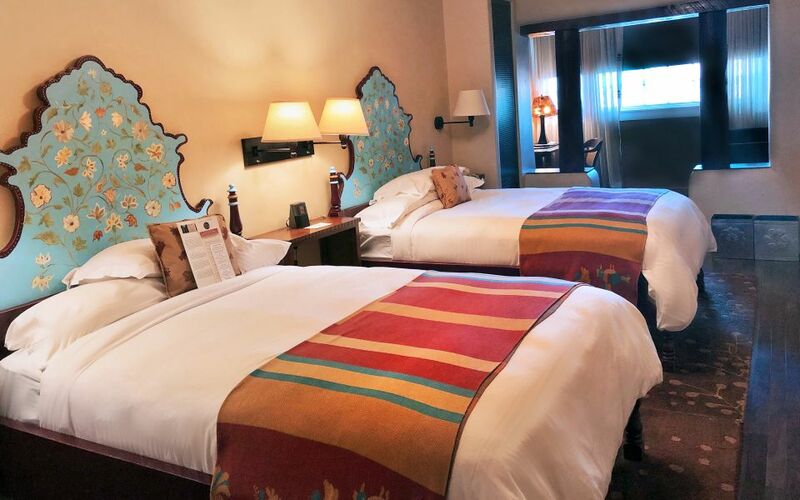 Spacious and beautifully appointed in a unique Santa Fe style that features two double beds with hand-painted headboards, authentic hand-carved furniture and original artwork. Also, a separate sitting area with a sofa. And, no resort fees. Room Size: 402-416 sq ft.